What’s your view? 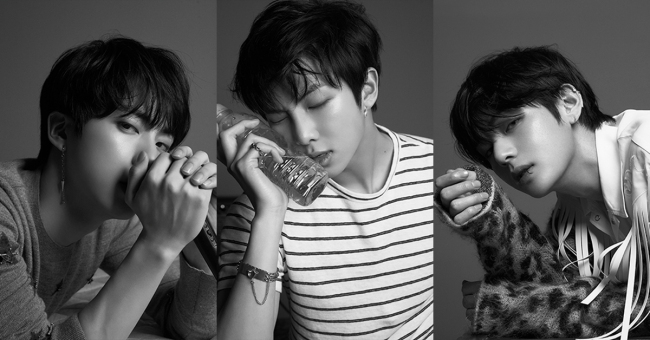 Stages of love depicted in 'Love Yourself' deserve multiple interpretations. It is no secret that BTS has a talent in conveying deep messages through its music. Previously known for its millennial-oriented social commentary, the septet ventured into the realm of romance in its recent releases. 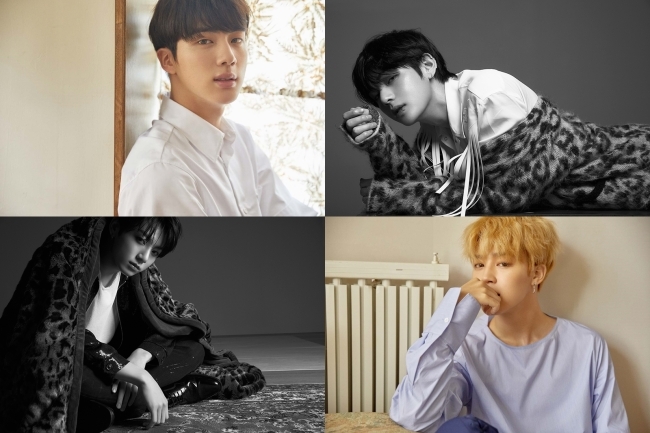 BTS released “Love Yourself: Tear” on May 18, a sequel to 2017’s “Love Yourself: Her.” As with other BTS song, the “Love Yourself” saga is rife with mysterious clues and rich imagery. One way to interpret the songs in the “Love Yourself” saga is to compare them to different phases of falling in and out of love. 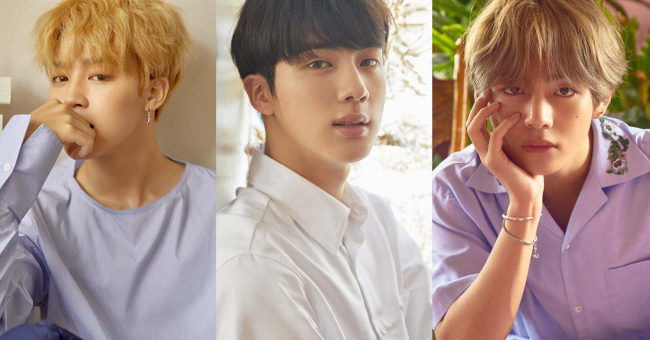 Countless interpretations of the BTS songs exist, but here’s one take on BTS’ romantic journey. 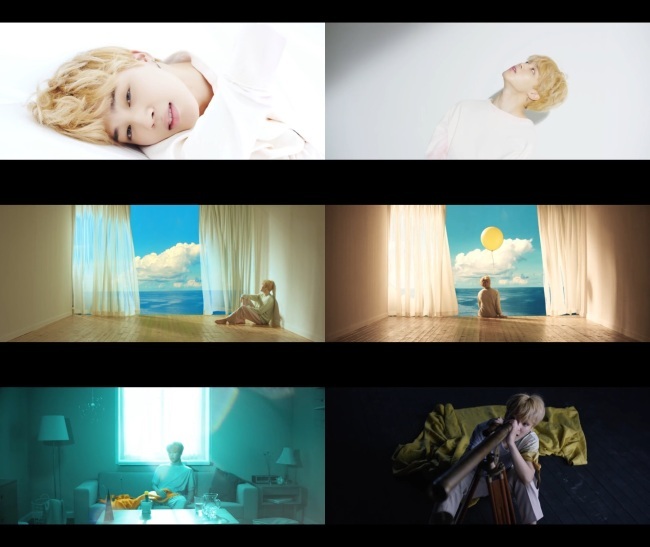 The R&B love song is the only solo track of the nine-song album, sung by Jimin, with its lyrics written by RM. The music video is tinged with golden sepia, featuring objects of varying shades of yellow which give off warm and cozy vibes. After the first encounter, love is now in full blossom. 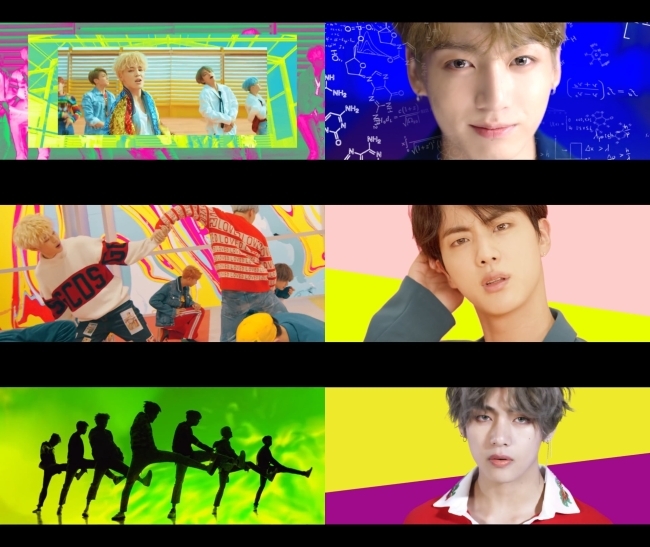 Technicolors explode in the background as BTS dances in bubblegum-shade hair and pastel-colored contact lenses, exuding a vibrant and bombastic energy. Love is likened to a “mathematical formula” (a thoroughly proven fact) and to “divine providence” (the fateful workings of the universe). The song describes love in its climactic stage, elevating it to the paradoxical status of being both scientific and religious. Science and religion are two pillars of humanity that claim authority to truth on mutually exclusive grounds, and the enamored BTS proclaims that love is supported by both. The video uses another theme linked to both science and religion -- the stars. 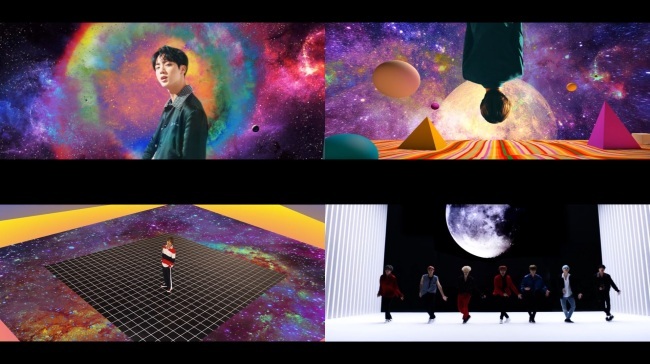 Celestial imagery abounds, with BTS standing among the stars of the galaxy and dancing with the giant moon behind them. By the outro track of “Love Yourself: Her,” BTS is past love’s initial enchantment, cognizant of its ironic complexities. Then comes what later turns out to be the fatal error: “I can never take this mask off. The man behind the mask is someone you don’t know.” Being loved in this relationship means having to hide behind a mask. The arc of the protagonist's romance has reached the point of singularity -- perhaps a play on words pointing to a feeling of being on one’s own and the scientific term to describe a point where things no longer run predictably. The relationship is sustained at a price: the loss of self. “Have I lost myself? Or have I gained you?” croons V to the jazzy melody, aware that he can’t have both. 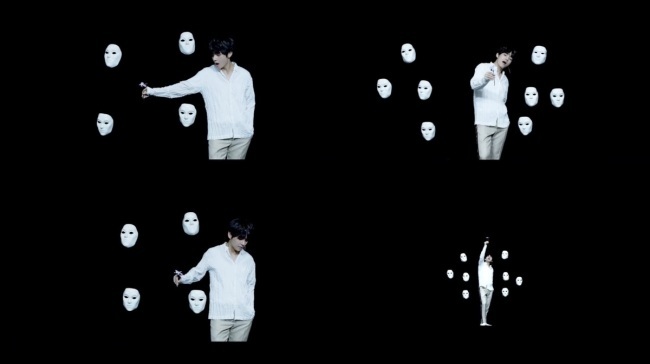 In the video, white plaster masks float around V as he holds out a “smeraldo” flower (a fictional flower that is beautiful but fake), another symbol of disguise. 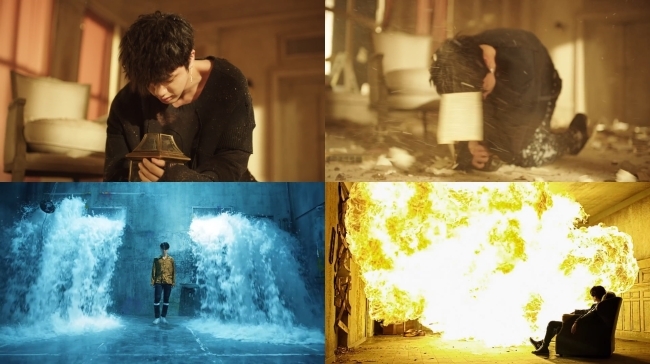 V’s character in the music video appears to have realized his love depends on deception. BTS goes on to talk about suggestive phrases such as “pretty lies” and “erasing myself” for love in this powerful track that is sweeping the global music industry by storm. Blank stares, shattered objects, bleak colors fill the music video. As opposed to the bright orange and turquoise hair shades in “DNA,” every BTS member dons raven black hair. 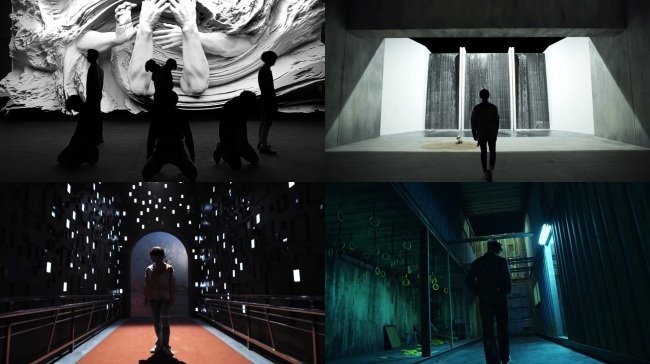 The lighting is definitely darker and there is hardly any smile except Suga’s momentary smirk as he watches the entire room topple down by fire at 4:17 in the music video. “I bloomed a flower in a hopeless dream,” the lyrics sings. In vain, Jin attempts to guard the flower as everything around him starts falling apart. The flower turns to ashes, followed by a total annihilation. Water storms around Jimin as he glares ahead and fire consumes Suga as he contemplates in stillness. The closure of romance rings simple and clear in this outro track. “Breakup” is the very first word of the song. “You were once my dear,” but now “you’re my tear,” raps RM. “Would you have loved me the same if I showed you my bare face, the face that only I know?” he asks, brooding over the love’s failure. “Breakup is the price I had to pay at the end of my show,” the lyrics says, suggesting what eventually crushed love. BTS is perhaps one of the few groups that can make falling out of love sound just as dreamy as falling in love.